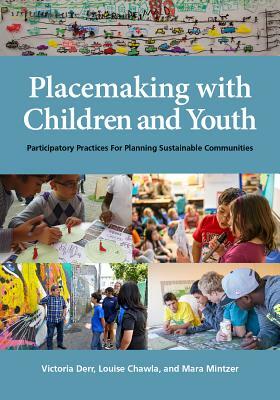 From a history of children's rights to case studies discussing international initiatives that aim to create child-friendly cities, Placemaking with Children and Youth offers comprehensive guidance in how to engage children and youth in the planning and design of local environments. It explains the importance of children's active participation in their societies and presents ways to bring all generations together to plan cities with a high quality of life for people of all ages. Not only does it delineate best practices in establishing programs and partnerships, it also provides principles for working ethically with children, youth, and families, paying particular attention to the inclusion of marginalized populations. Drawing on case studies from around the world--in Australia, New Zealand, Canada, India, Puerto Rico, the Netherlands, South Africa, and the United States--Placemaking with Children and Youth showcases children's global participation in community design and illustrates how a variety of methods can be combined in initiatives to achieve meaningful change. The book features more than 200 visuals and detailed, thoughtful guidelines for facilitating a multiplicity of participatory processes that include drawing, photography, interviews, surveys, discussion groups, role playing, mapping, murals, model making, city tours, and much more. Whether seeking information on individual methods and project planning, interpreting and analyzing results, or establishing and evaluating a sustained program, readers can find practical ideas and inspiration from six continents to connect learning to the realities of students' lives and to create better cities for all ages.